It’s date night, so you light candles in the house to create that romantic, aromatic setting. The pleasant scents diffuse throughout the rooms. After a few funky combos, you’ve finally picked the perfect assortment. You were careful in your selection. No cheap candles in this blend: you treated yourself to the truly natural ones, because they noticeably alter the tranquility of your home. The right mix puts you in the right mood. The wax is the body of the candle and determines the product’s quality. Some waxes melt slower than others, allowing the candle to last for more date nights to come. The type of wax even determines its ability to diffuse herbal or fragrant ingredients softly into the air. 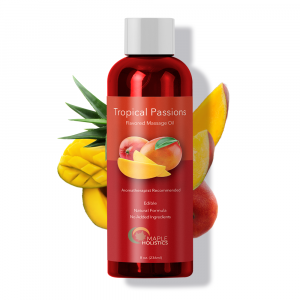 Next time you hit the fragrance aisle, be aware of the quality of your selection to get the desired mental, spiritual, and aromatic results. Burn candles; remove your sandals. Sometimes you need to drop your pen to feel Zen. Part of living a healthy lifestyle is taking care of your mind. Burning candles does more than add a sense of feng shui to your home. This practice can provide the perfect atmosphere to induce calm and a sense of well-being. Candlelight can even augment the power of meditation. When you bring essential oils into the mix, you open yourself to whole new world of self-care. Candles with essential oils like lavender and patchouli can fill the space with a gentle scent. These oils quiet your mind and help with mental health. Other candles can have a more practical utility, such as keeping bugs away throughout hot summer months. No matter how you choose to use candles, they can benefit your health in more ways than one. Paraffin wax is a by-product of the crude oil refinement process. The majority of commercial candle companies use paraffin as their wax because of its low cost. When burned, candles made of paraffin release toxins into the air. Paraffin candles also burn faster than beeswax and soy. A definite stay-away for those who are health conscious. By nature, soy wax is soft and creamy. Soy candles can be made from 100% vegetable or soybean oil. There are large multitudes of soy candles available from the top candle-making manufacturers because it contains more natural properties. Buyers beware: as long as a wax blend contains 51% soy, it can be branded as a soy candle – so it’s important to check the purity. Soy blends (part-soy, part-anything else) and paraffin candles should be avoided if you’re looking for anything better than a toxic flame. 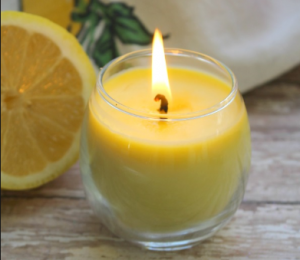 Beeswax is a natural ingredient for candle making. 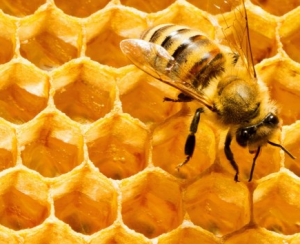 Honey isn’t the only delicious product of a busy beehive. Beeswax comes as a by-product of honey-making. This natural wax is believed to be the oldest means of candle-making. Beeswax is a very firm wax and has a natural color tone and slight fragrant flavor. The firmness of beeswax makes it an ideal ingredient. However, the natural scent may interrupt pure formulas, so beeswax remains a niche candle wax. For those of you with the DIY spirit, I have compiled a quick and easy recipe for making your own aromatherapy candles at home. Natural candles don’t come cheap, especially as you incorporate new aromas into your home blend. Learning how to make them yourself can save money and allow you to experiment with different scent combinations. The basic recipe requires beeswax, wick, and a heat-safe container. Begin melting the wax. Because the wax has a low melting point, use a double boiler in order to prevent the wax from burning. 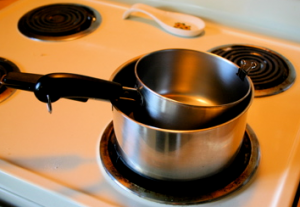 You can make a double boiler at home by placing a pot within a pot. Boil water in the first pot and place the bowl of wax into the boiling water. The indirect heat will melt the wax gently to prevent anything from getting burnt. While the wax melts, prepare the wicks. Cut the wicks the length of the container that the candle will sit in. Don’t forget to leave a bit of extra length so you can light the candle. Pro-tip: tie the wicks to a pencil and then set the pencil over the lid so that the wicks sit correctly. Once the wax melts, add in the essential oils of your choice. The amount of oil varies with the proportions of wax and which wax you use. I like to add a generous amount, but it’s up to you. Pour the wax into the container and set it in a cool place to harden. You now have your own DIY aromatherapy candle! Light it up and let the healing begin! Besides being an incredibly calming and relaxing experience, burning a scented candle can be tremendously beneficial to your overall health and sense of spirituality. Religious and spiritual traditions have used candles for countless years. In fact, lighting candles has come to form a central mechanism or ritual within many faiths and spiritual practices. Burning scented candles calms the mind and allows you to focus on your thoughts more clearly. As a result, you may center your mind and fix it on one subject. God, introspection, and a mantra are all fair game. All of this helps to boost one’s level of spiritual awareness. Aromatherapy can allow you to feel calm and at peace with yourself and your surroundings. Fuel your sense of spirituality with these powerful little flames. Read about the Health Benefits of Kale and Oatmeal while you’re here at Maple Holistics! 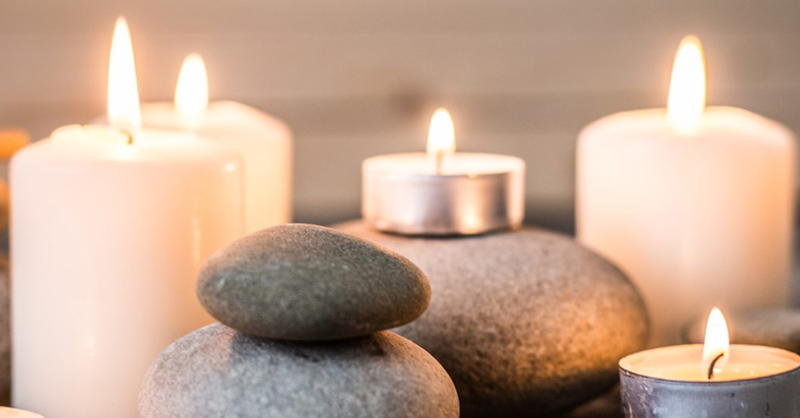 Meditating with candles and incense is incredibly relaxing and can help you forget the stresses of your day by encouraging you to focus on the senses of touch, sight and smell. But researchers have also found that burning incense can actually affect your brain and help reduce symptoms of anxiety and depression! 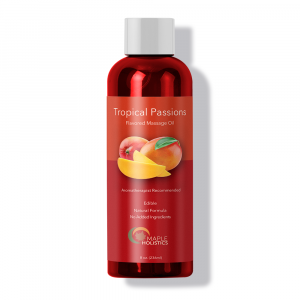 It can also help with anger and agitation, making your troubles melt away. And each scent can affect you in different ways, so each time you use them you can select the one that best suits your mood. Whether you want to be more balanced, be happier or be more focused, meditating with candles and incense will enhance your experience. Whether you’re aiming for a romantic dinner in or a spiritual awakening, candlelight is the answer for you. Bring the right blend to your home to create the ideal environment for an ideal head space. Take the time to pause and take a whiff of those pleasant fumes. They truly make a difference in your mindset.